Richard Paul Russell Ltd has added a new location to Weather-File.com with Yacht Haven Lymington fitting a FlexiMet Wind 2 System. Yacht Haven required a system that delivered highly accurate and reliable wind speed and direction data. The system was to be located on a flag pole on top of their roof and they didn’t want to make costly service visits to the sensor or system. They also required wireless transmission of the data over their WiFi network to their own display and the Weather-File.com website so all customers could view the data from any location before they made the journey to their boats. Richard Paul Russell Ltd recommended the FlexiMet Wind 2 System. 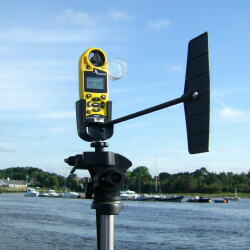 This system utilises the WindSonic 1 sensor based on proven ultrasonic technology from Gill Instruments. This 2-axis ultrasonic wind sensor is maintenance-free and easy to install and delivers the ultimate in highly accurate ‘plug and go’ wind speed and direction monitoring. The perfect choice for remote, offshore or long term monitoring, the corrosion free exterior eliminates costly maintenance and servicing procedures. The data from the WindSonic 1 sensor is fed via RS232 cable to a SpaceLogger.W8.Wireless data logger. Data is stored on a removable SD memory card and may be accessed wirelessly using the SpaceLogger Real-time Communicator Software. 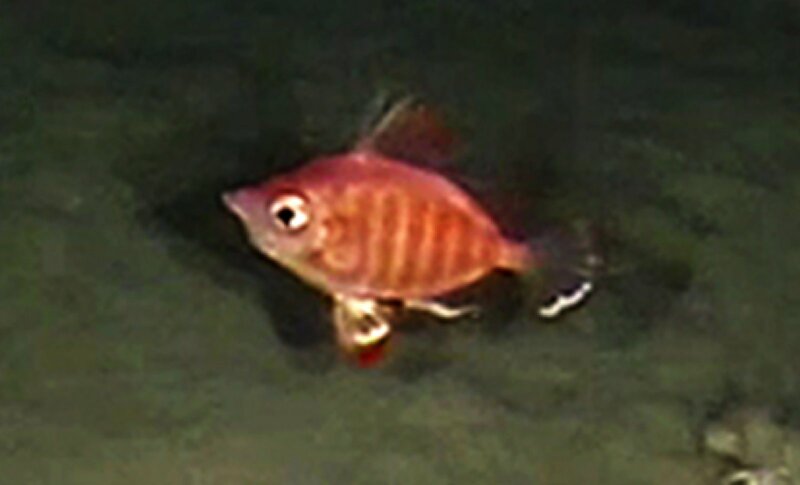 Data is sampled at 1Hz from the connected sensor. Each data record is date and time-stamped when it is stored. A new file (.CSV) is generated for each day’s worth of data. 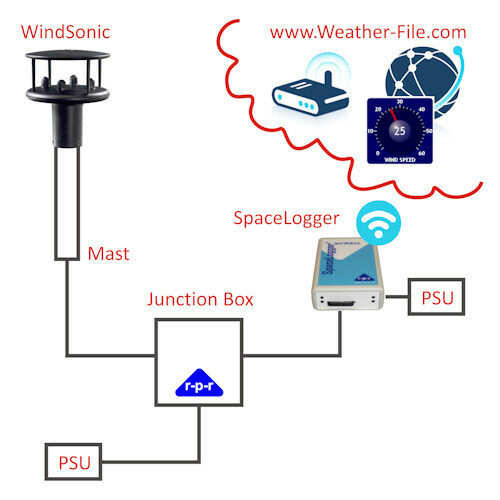 The SpaceLogger.W8.Wireless was enabled for FTP’ing of live wind & weather data to the Weather-File website to provide access to the real-time data remotely. To join Weather-File.com or to find out more on FlexiMet systems visit r-p-r.co.uk or call 00 44 (0) 1590 679755. Richard Paul Russell Ltd have recently won a contract to supply Kestrel 4500 Pocket Weather Meters to the Commonwealth Games in Scotland. The Kestrel 4500 will be used to measure environmental conditions within the stadium including heat stress, wind speeds, wind direction and crosswind, headwind and tailwind. The 16 Kestrel 4500 Pocket Weather Trackers will be mounted on tripods with wind vanes so they automatically are held into the wind. The Kestrel’s will automatically log data at programmable intervals, so organisers can record a history of weather information. This data can then be downloaded to PC by Bluetooth or USB connection to produce graphs with up to 2900 data points. All data is time and date stamped. It’s great to see Kestrels at this high profile sporting event and RPR Ltd is very proud to be the supplier. Other Kestrel’s are used extensively at sporting events including the Kestrel 4400 and Kestrel 4600 that both measure heat stress and wet bulb globe temperature, very important measurements to determine whether events and training are run within safe environmental boundaries. This weeks hot weather at the Wimbledon Tennis Championship an example of the extreme conditions athletes operate in. 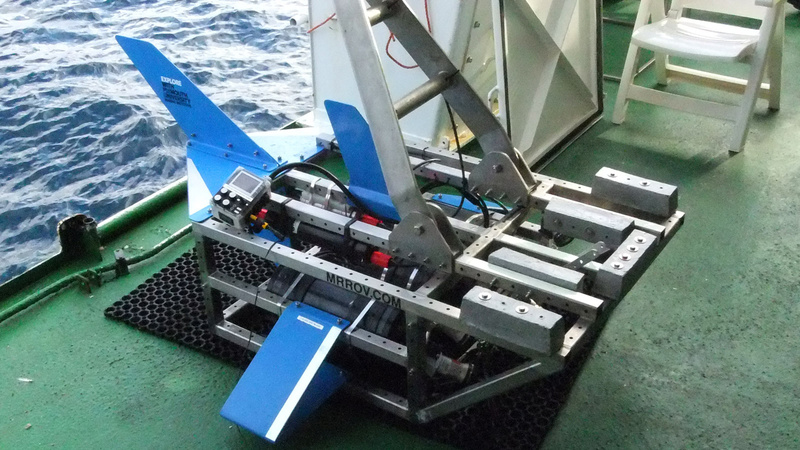 Spacelogger.S10 data loggers have been helping to map the conditions and life on the ocean floor in the Bay of Biscay. This fascinating application involved the SpaceLogger.S10 data loggers being towed at depths of 3000 metres whilst taking recordings of CTD (water conductivity, temperature and depth). 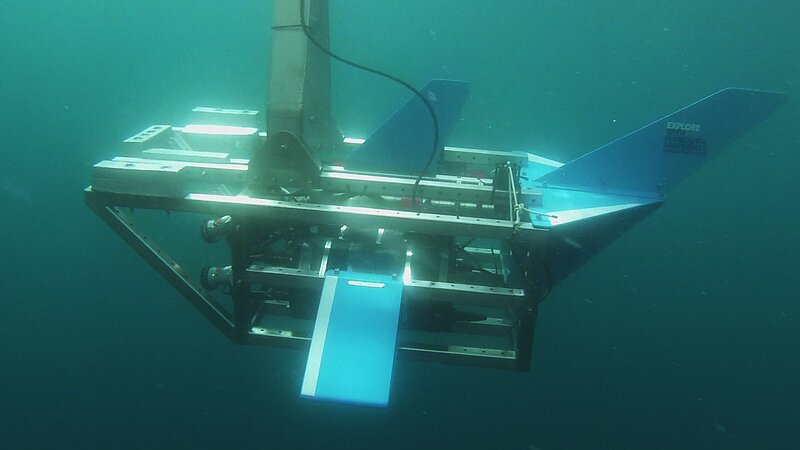 The SpaceLogger.S10 data loggers were part of the equipment on three 3000 metre depth rated ‘pods’ along with batteries, video processing equipment and control electronics. The SpaceLogger.S10 is a versatile serial data logger for sampling RS232 data from up to two devices. Data is stored on a removable memory card, enabling remote data logging without the need for direct connection to a PC. After logging, the memory card can be simply inserted in a card reader, to view and analyse the data on a PC; no special software is required. This ability to log remotely made it the ideal choice for this application. Some of the imagery back from the pods is remarkable and we are extremely proud to have helped capture important data for the team. We await a call from NASA to put SapceLoggers in space.. 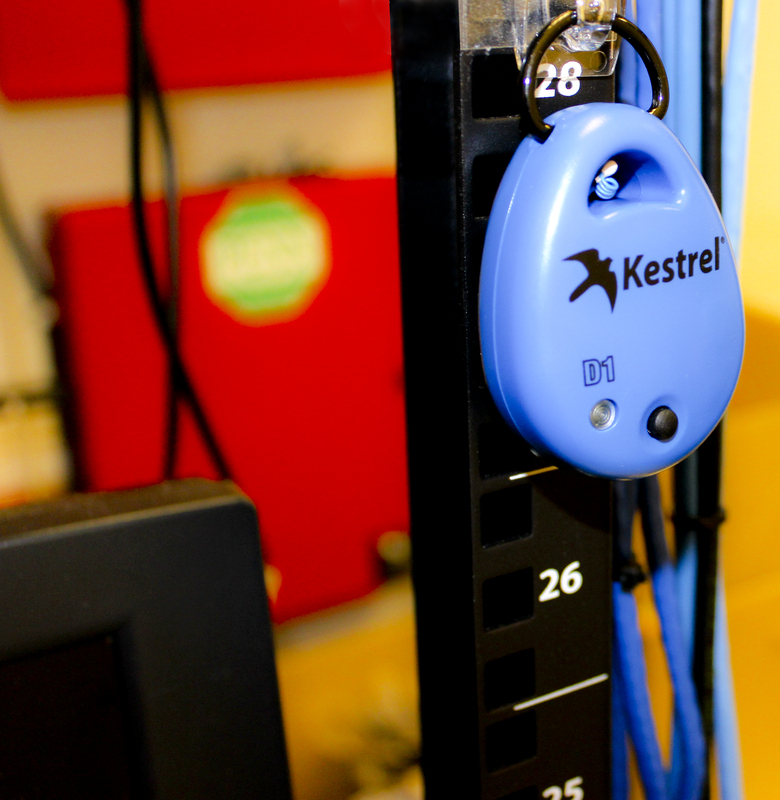 Here at Richard Paul Russell Ltd we are getting increasingly excited with regards the upcoming launch of the new Kestrel DROP™ range of environmental data loggers that will be launching this summer. 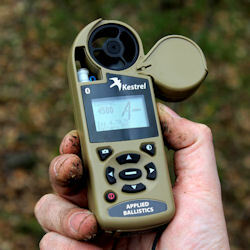 Kestrel DROP™ are a range of compact, rugged, waterproof and accurate data loggers allowing users to monitor and record environmental data in numerous locations (in transit, water, gardens, warehouses, food trucks etc) and log the data that can then be transmitted via Bluetooth® Low Energy (BLE) to a users smart device. • Kestrel DROP 1 Smart Temperature Data Logger – Temperature • Kestrel DROP 2 Smart Humidity Data Logger – Temperature, humidity, heat index and dew point temperature • Kestrel DROP 3 Smart Environmental Data Logger – Temperature, humidity, heat index, dew point temperature, wet bulb temperature, density altitude, barometric pressure, moisture content, humidity ratio, relative air density and absolute pressure. The data from the Kestrel DROP™ can be viewed real-time or downloaded at the end of a monitoring period directly onto a users iPhone, iPad or iPod from where it can be viewed in chart or table form and manipulated as required. Data can also be shared by email, text or social media by using the Kestrel Connect App that will be available from the iTunes App store. Keep an eye out on www.r-p-r.co.uk for more details, availability is expected form August onwards. Summer is officially here and with a heat wave predicted over the next few weeks and months it’s a good time to raise awareness of the Kestrel 4400 and Kestrel 4600 Heat Stress Meters. 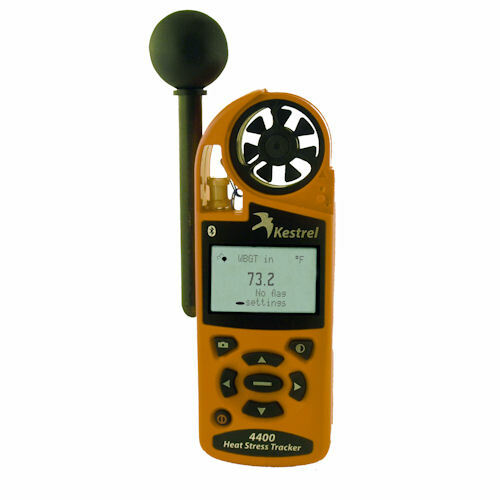 The handheld Kestrel 4400 & 4600 Heat Stress Trackers use a 1 inch black globe that took over 13 years to develop, the globe keeps the Kestrel compact and portable ensuring you can take WBGT (wet bulb globe temperature) readings right on the spot. WBGT is fast becoming the standard measurement used to calculate heat stress accurately. Another measurement of the Heat Stress Tracker is the Black Globe measurement. The 4400 black globe accounts for radiant temperature, in other words how hot it actually feels. For example, if it’s 25 degrees outside and you’re standing in shade it will feel much cooler than if your stood on a black tarmac on a roof of a multi-storey car park. So if you are running sporting events, festivals, concerts or planning a long hike in the country then having a Kestrel 4400 or 4600 with you will ensure you are prepared correctly for any extreme temperatures and put measures in place to control the risks such as making shady areas readily available or plenty of drinking water on tap. Richard Paul Russell Ltd have been working hard with journalists and field testers within the shooting market with the new Kestrel 4500 Applied Ballistics model. Applied Ballistics links the kestrel to the full ‘Litz’ library of G1 and G7 referenced Ballistic Coefficients (BC’s) and from this you can do custom drag curve modelling and ballistics truing associated with actual bullet impacts and build firearms profiles on your PC. Chris Parkin at Shooting Sports Magazine has done an in depth review of the Kestrel with Applied Ballistics and the full review can be found here. We thank Chris for his time in putting together this review and hope its honesty and detail will help prospective users fully understand the benefits of this product. An introductory video into the product can also be viewed on our You Tube Channel here. 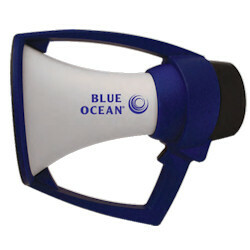 Richard Paul Russell Ltd has recently launched the Blue Ocean Megaphone into the UK market. This unique highly durable, completely waterproof and MIL-STD-810F 516.5 drop tested megaphone can withstand even the harshest of environments and deliver the highest sound quality. This megaphone has been adopted by many military, police and fire services globally and also has wide use within the sports market, used by professional and amateur coaches within the sailing, yachting, rowing, and canoeing and athletics markets. The Blue Ocean Megaphone is the only choice for when you want a durable and reliable megaphone that will never let you down. Richard Paul Russell Ltd have field tested this whilst coaching youth sailors at local sailing clubs with great success. You can leave the megaphone in the bottom of the rib or coach boat and not worry about water ingress corroding vital electronics.